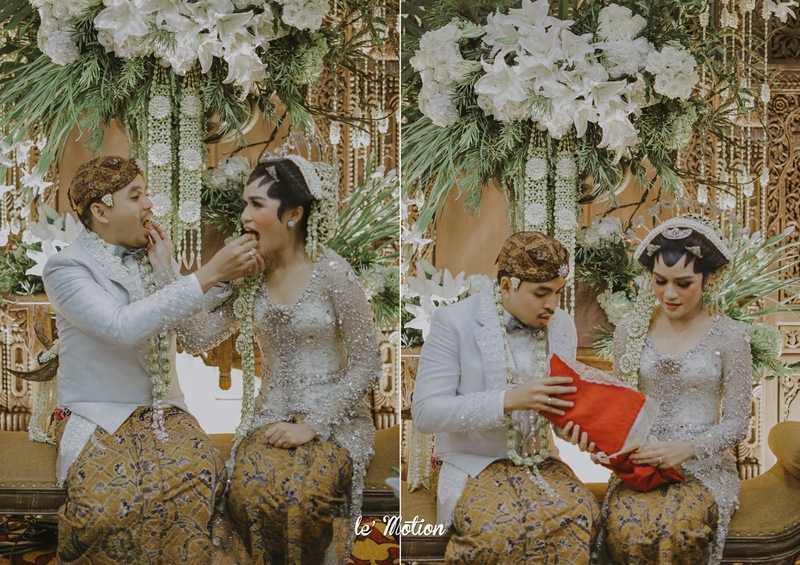 The first romantic thing about this couple is the way Lukman proposed to Acha. It's was Acha's birthday when he decided to pop the question! 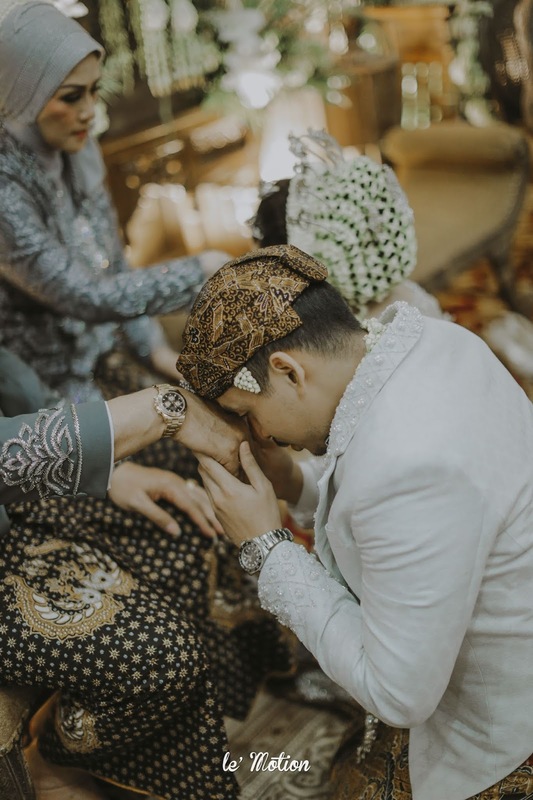 Closing her eyes, and when he said to open it, the lovely ring was in front of Acha and then Lukman immediately ask her hand in marriage. And of course, Acha said "Yes!" 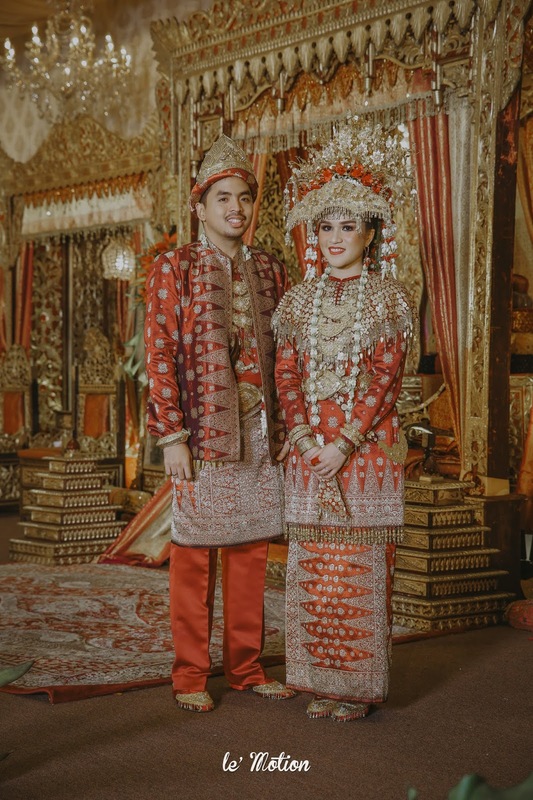 We've always been there from their engagement, prewedding, till their big wedding day in Bidakara. 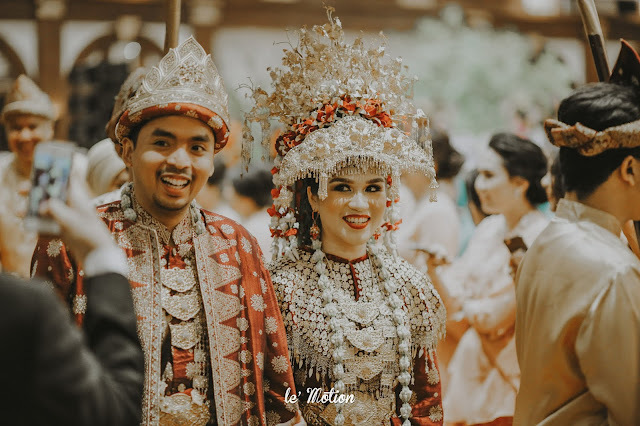 They choose the Javanese culture for their Akad and was perfectly completed by the Panggih procession that were performed directly after the Akad ceremony. 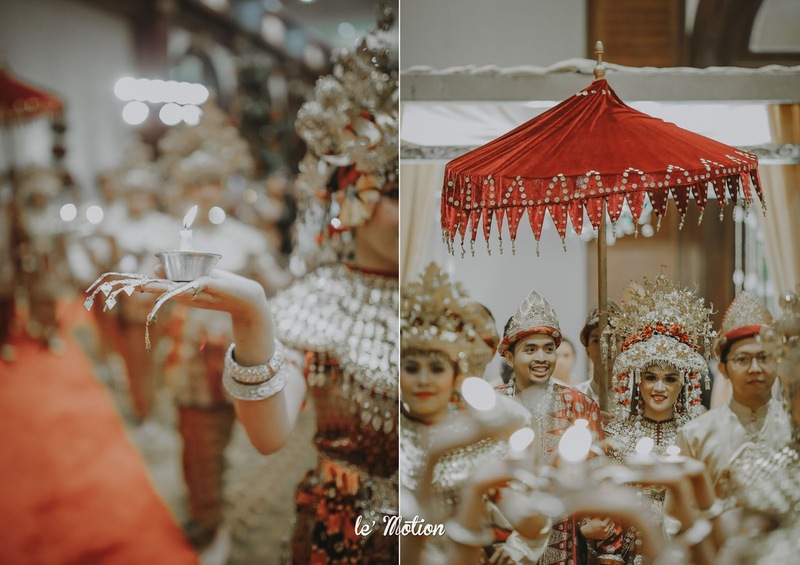 Acha with her beautiful silver kebaya, amazed all the guests, and the panggih procession went very harmonious, full of emotion and laughter! 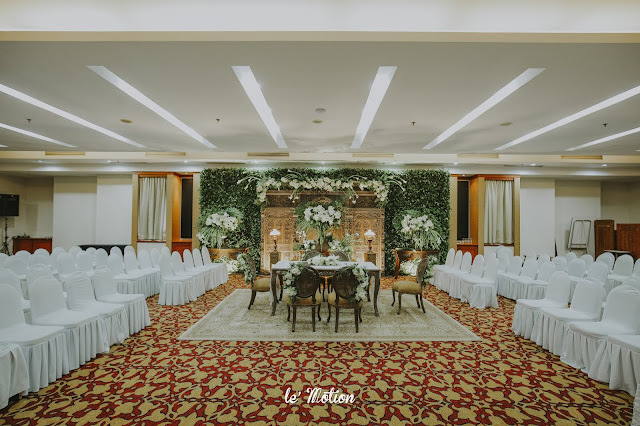 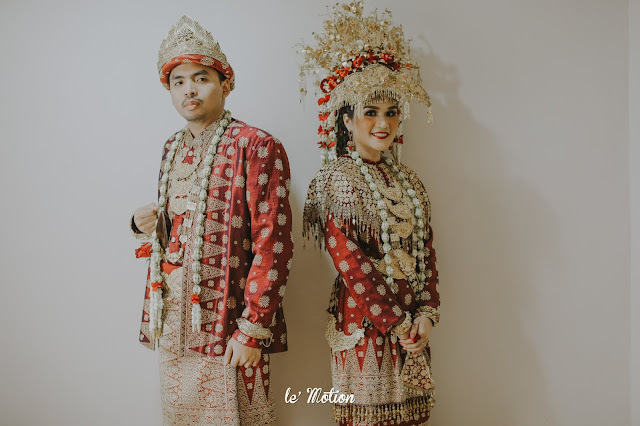 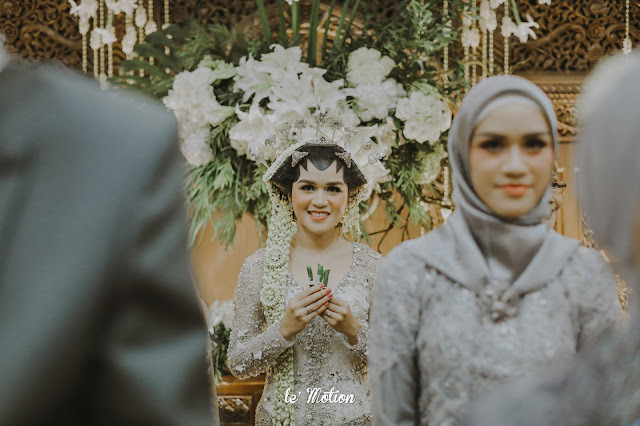 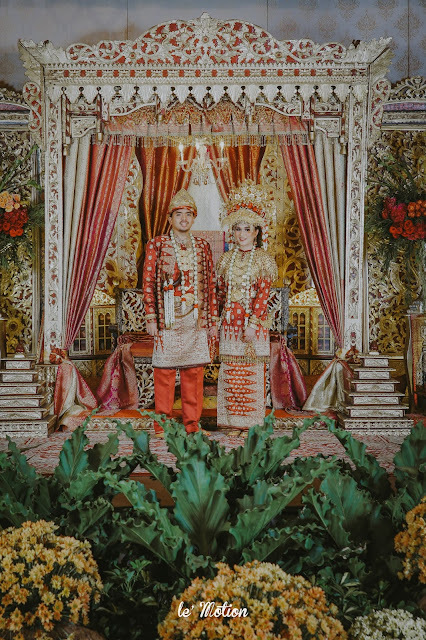 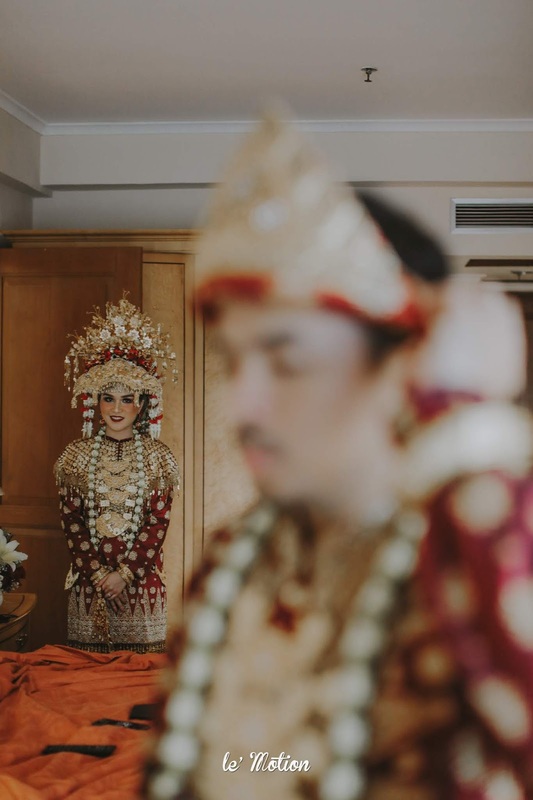 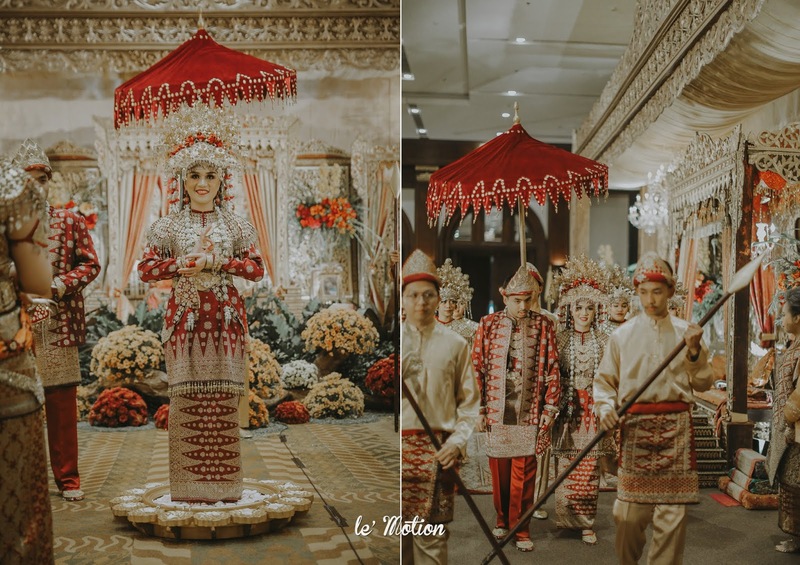 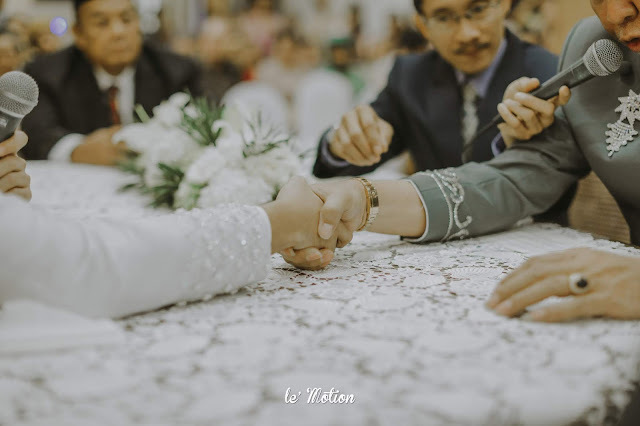 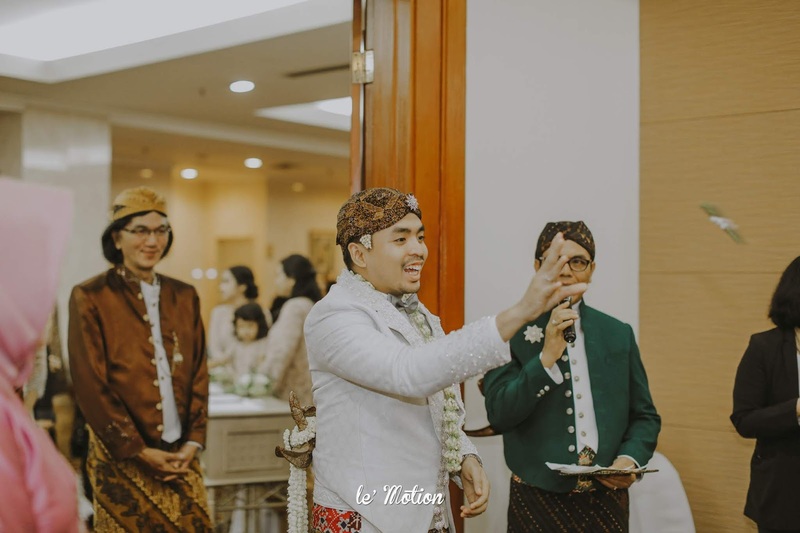 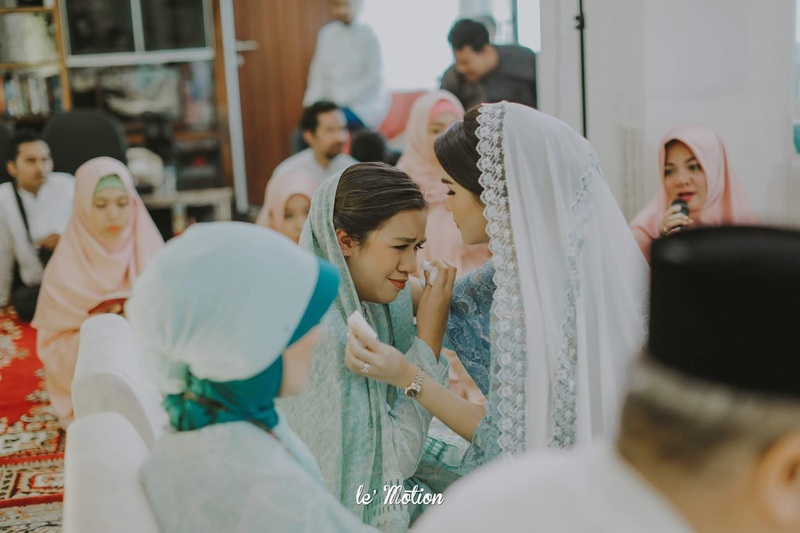 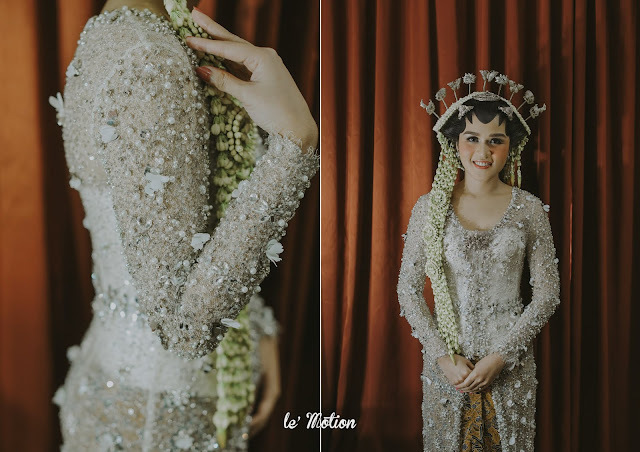 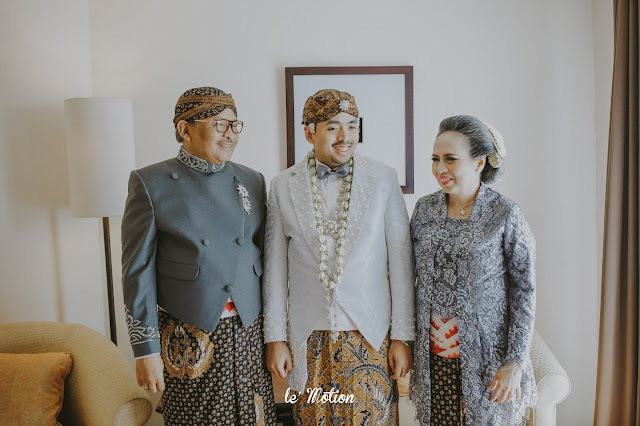 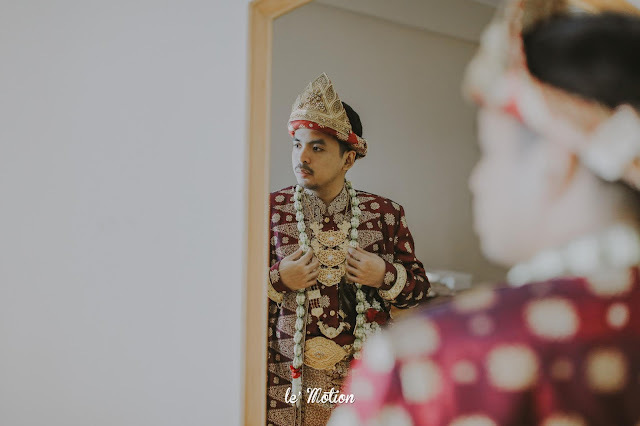 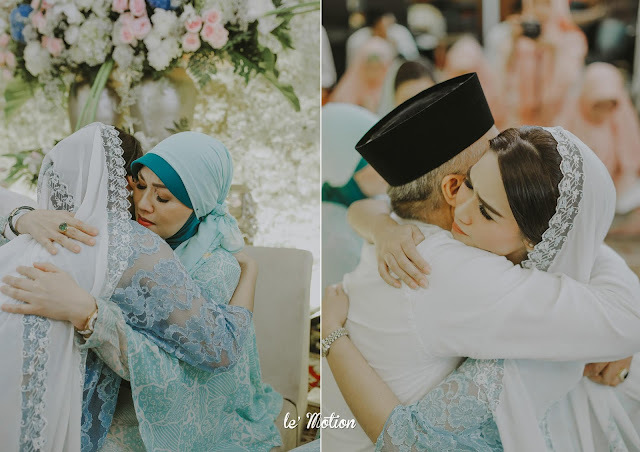 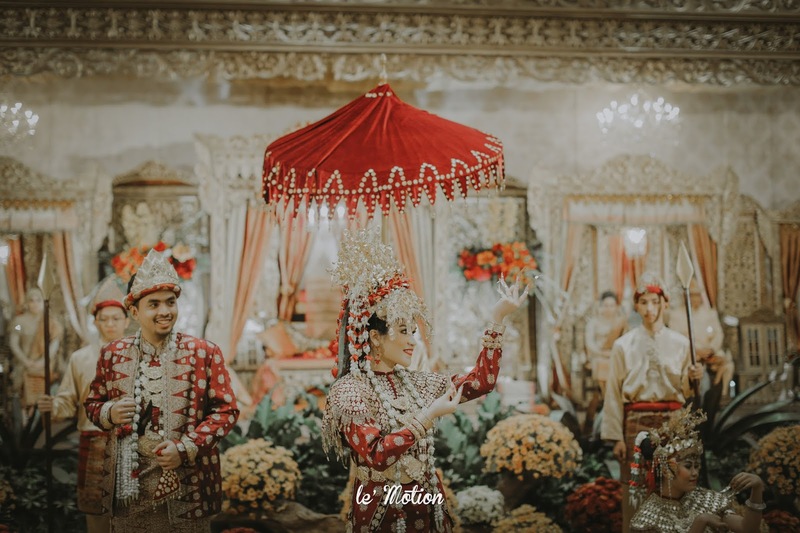 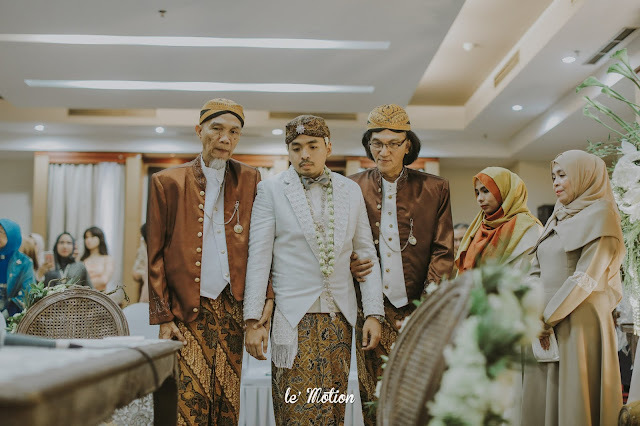 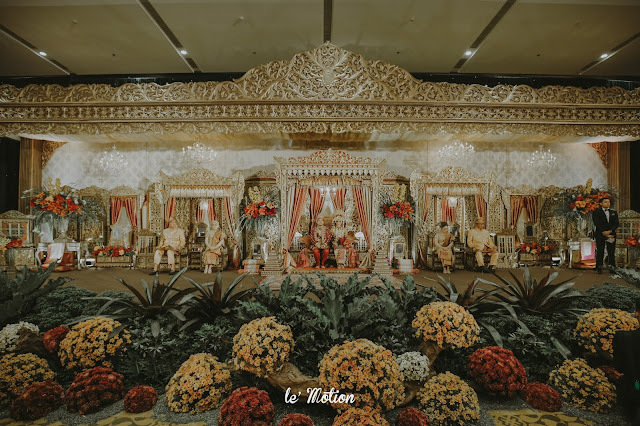 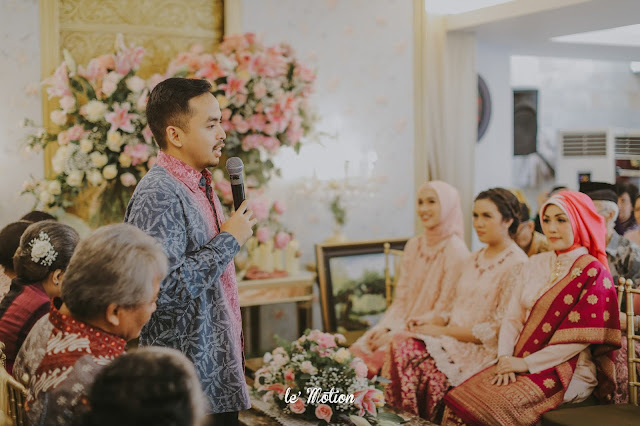 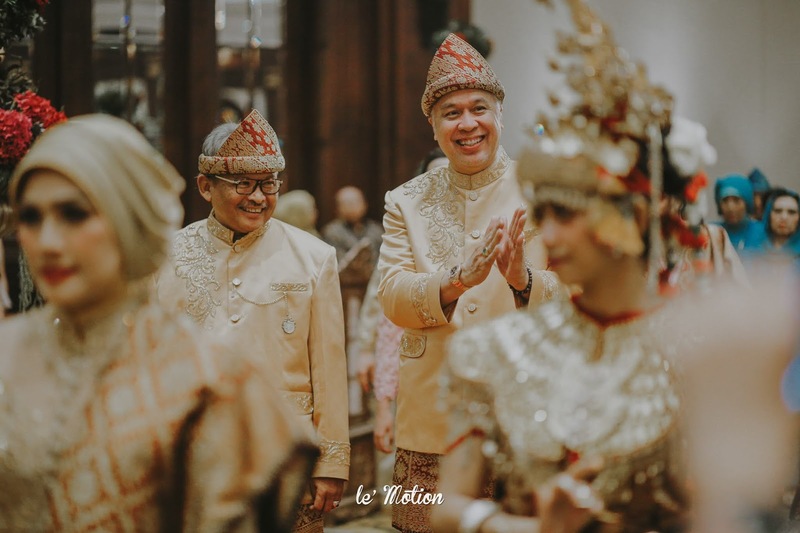 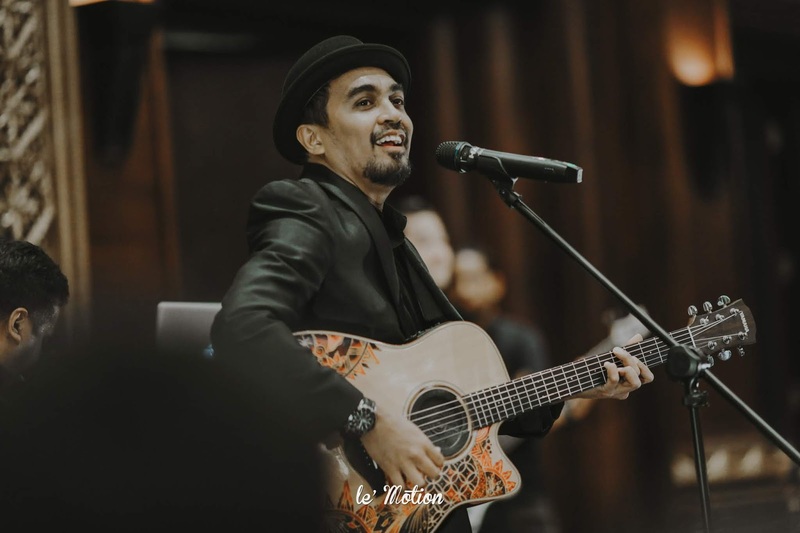 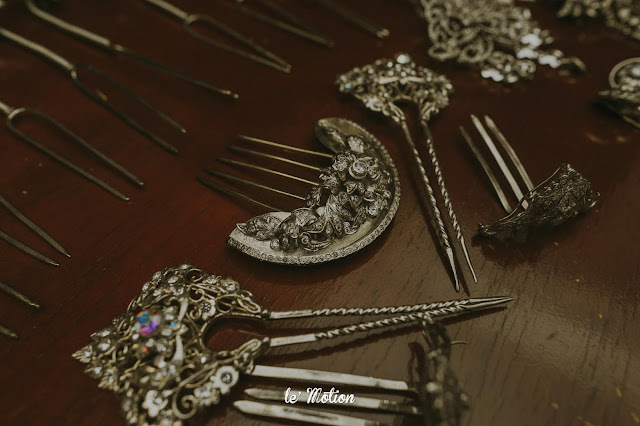 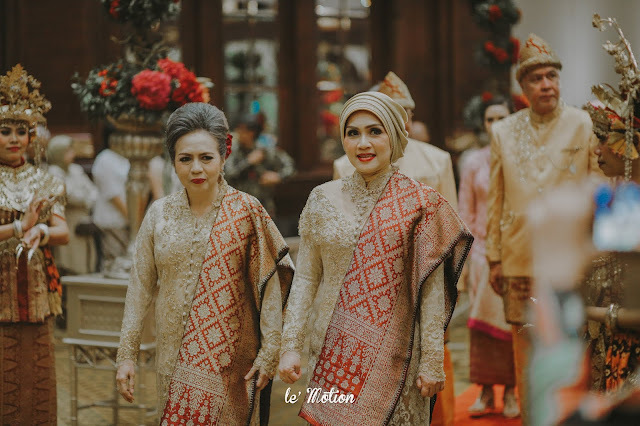 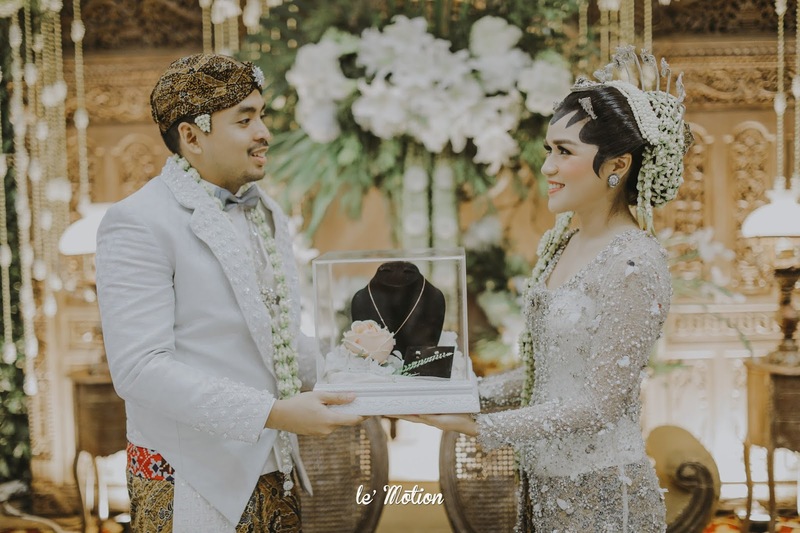 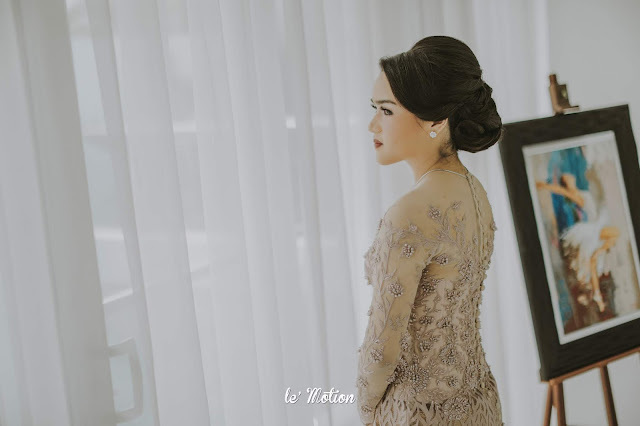 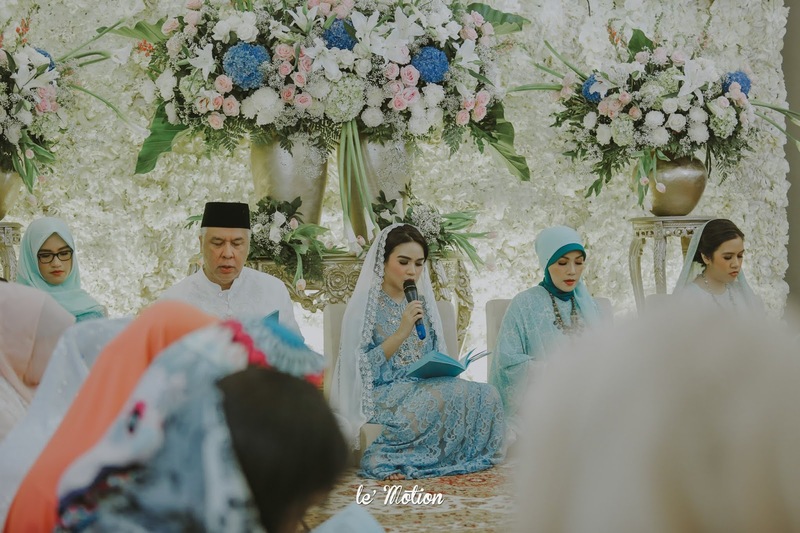 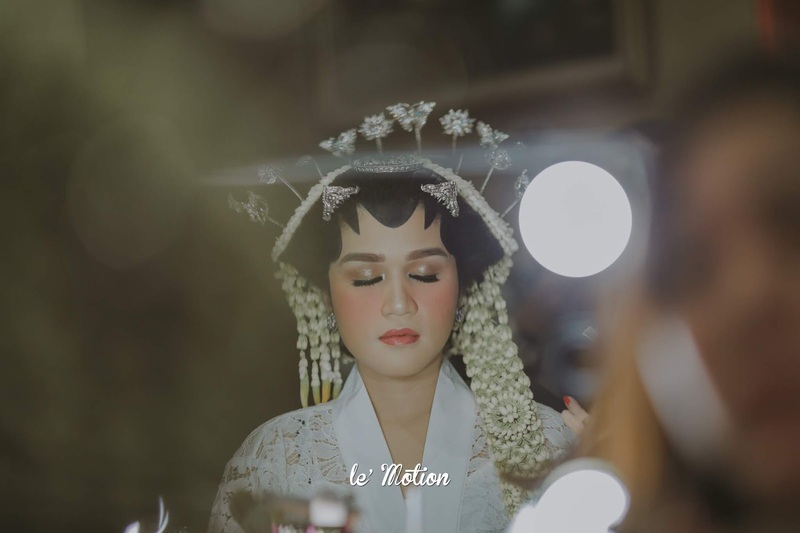 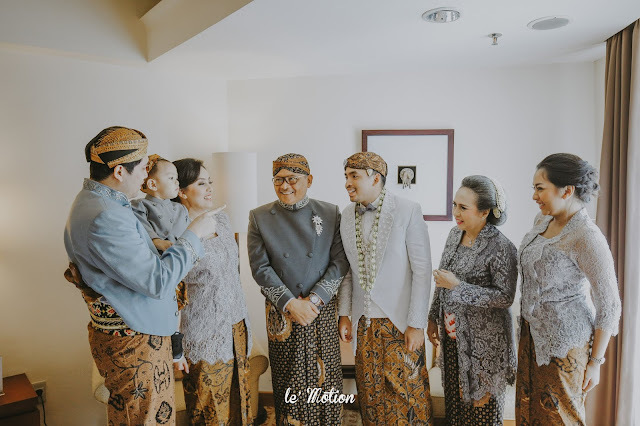 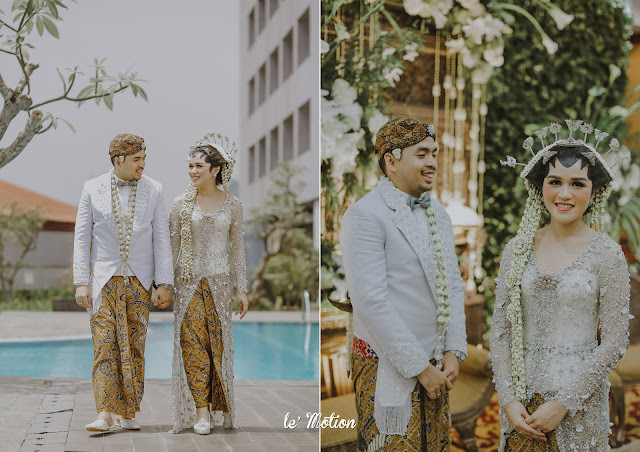 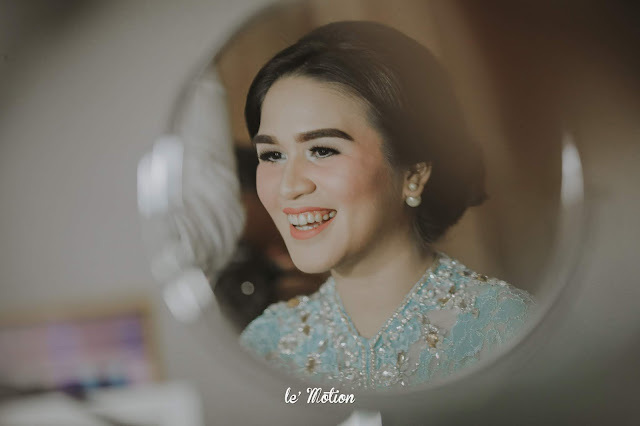 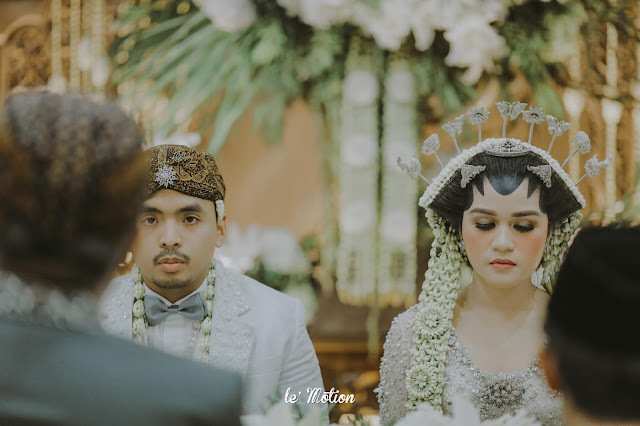 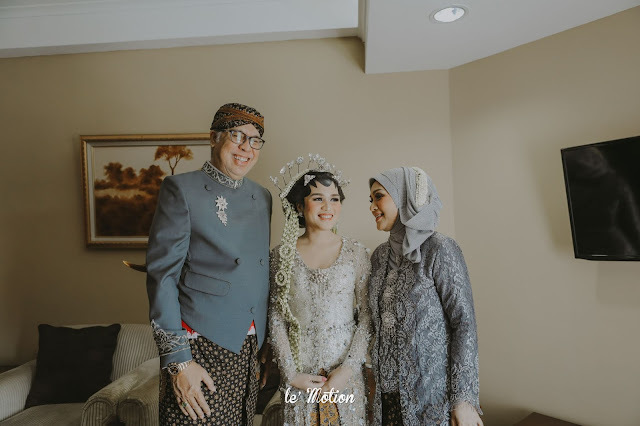 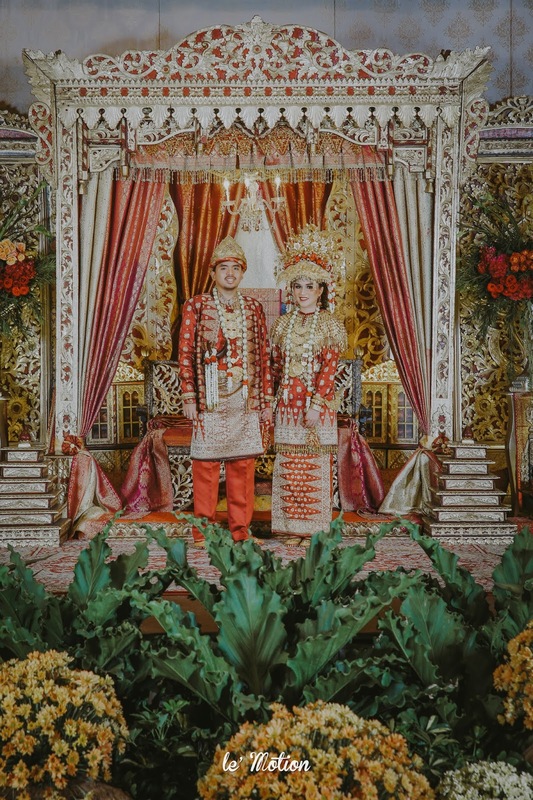 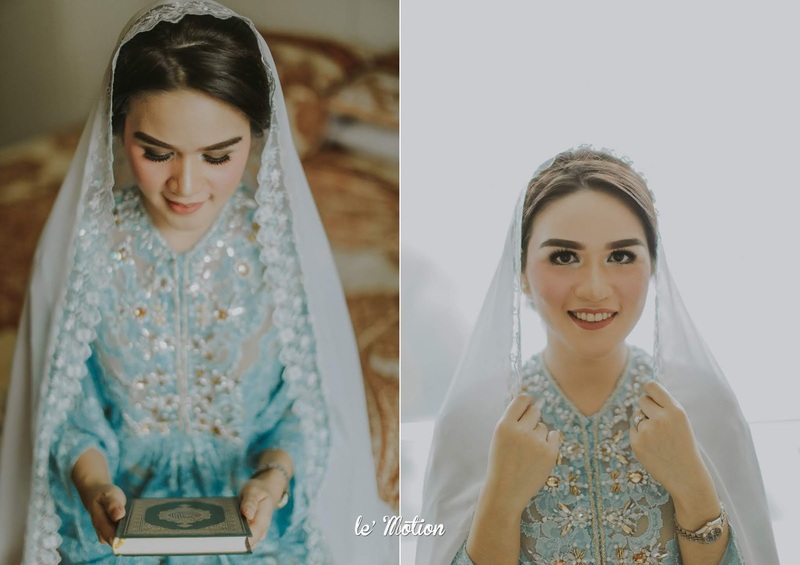 In their wedding reception, Acha & Lukman choose the traditional Palembang wedding. 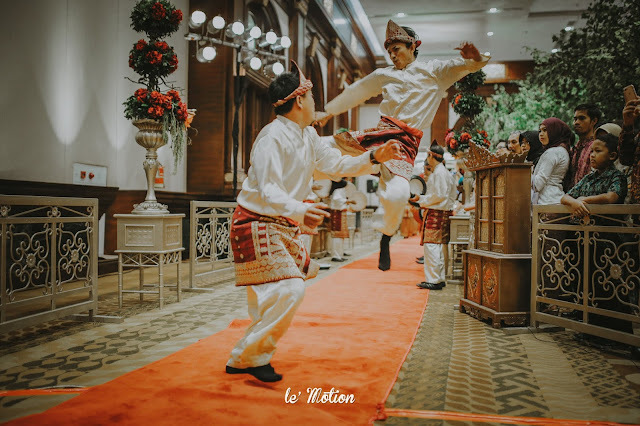 There were Pencak Silat, Tanggai dancers, and Rebana. 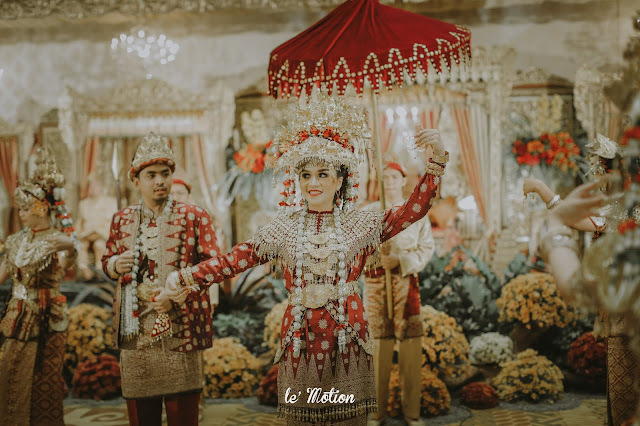 The Palembang traditional dance, tari pagar pengantin had to be performed by Acha herself . 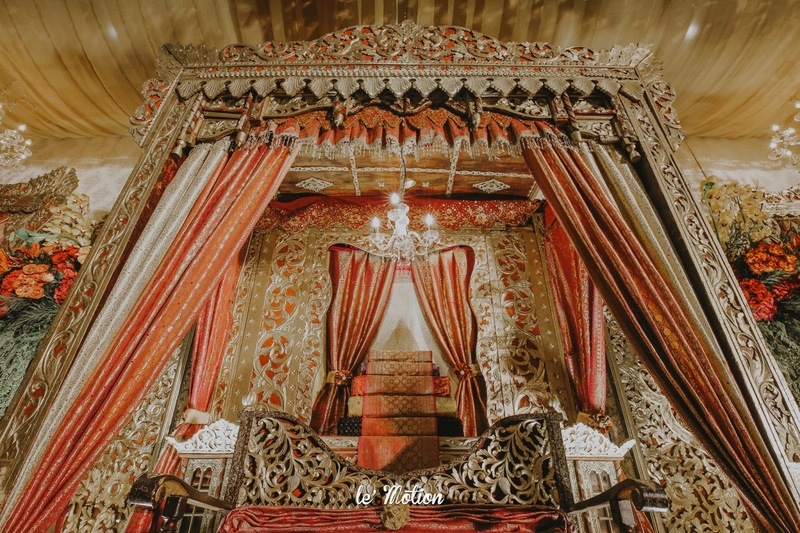 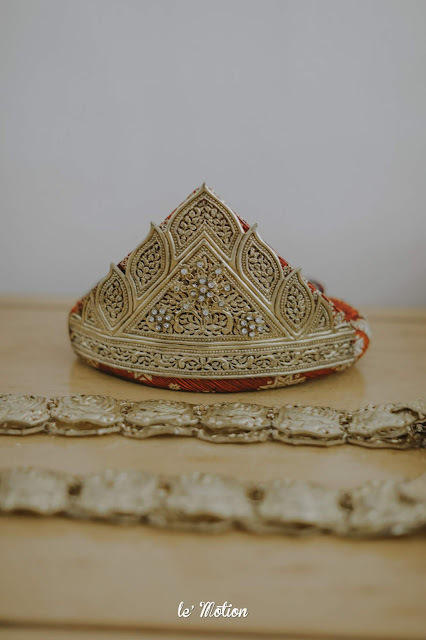 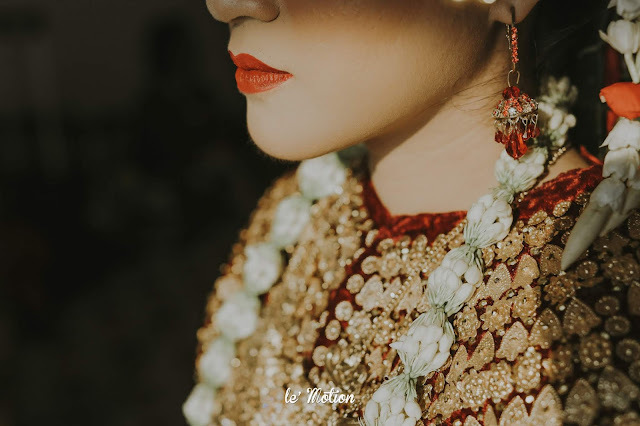 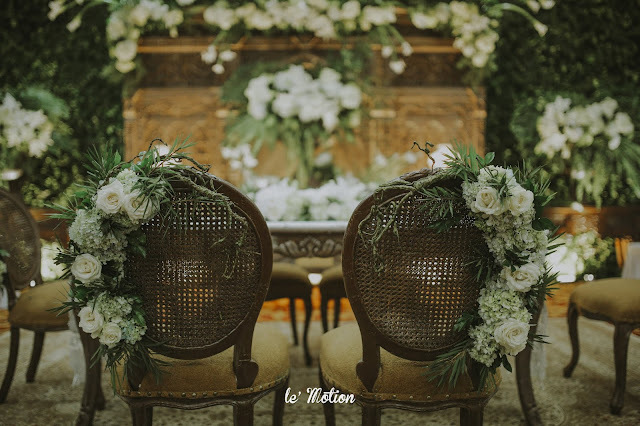 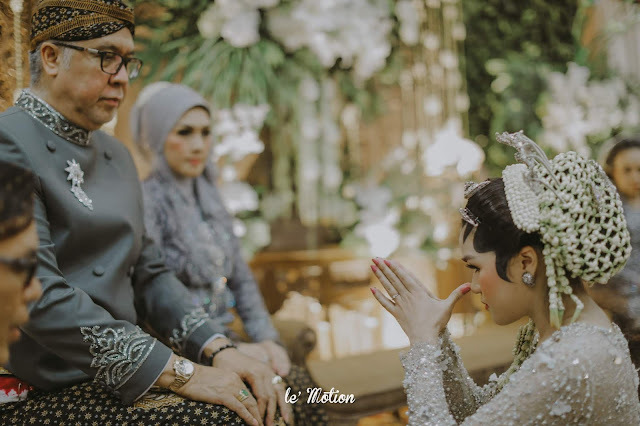 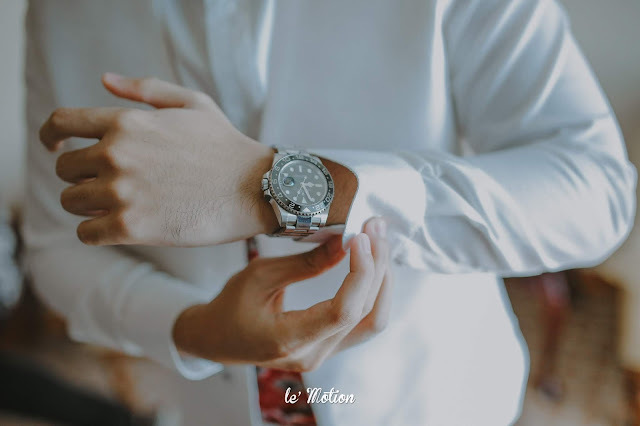 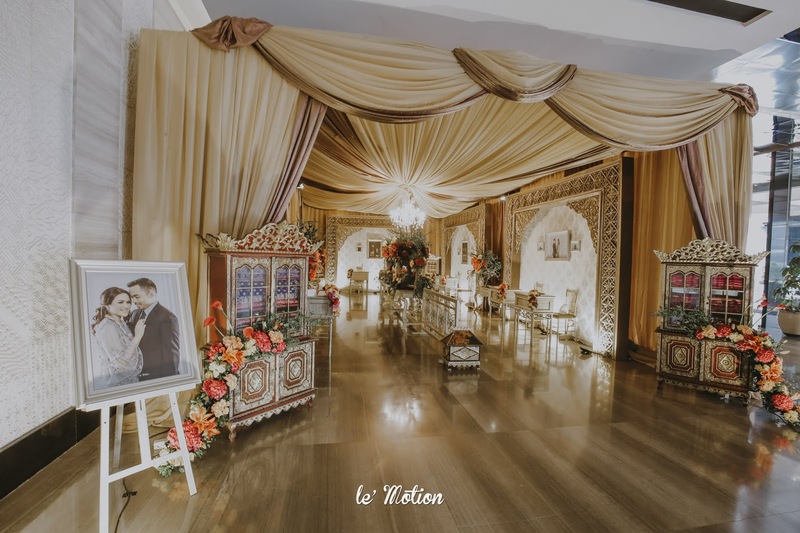 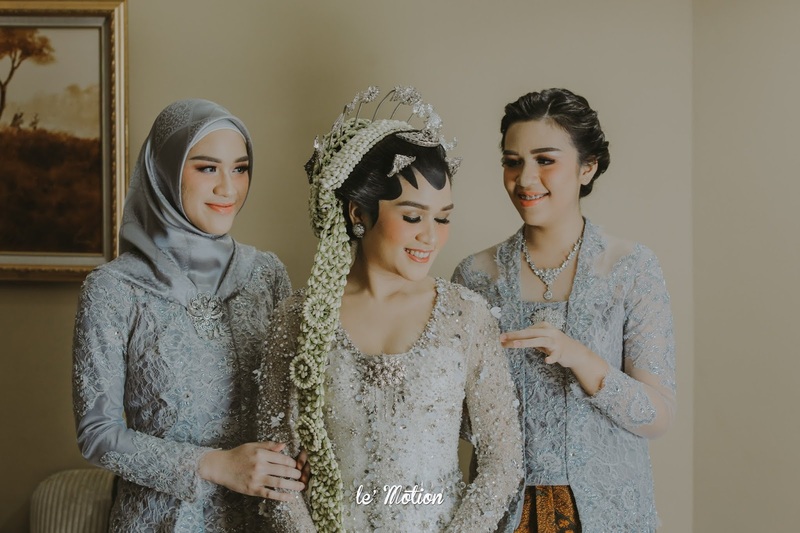 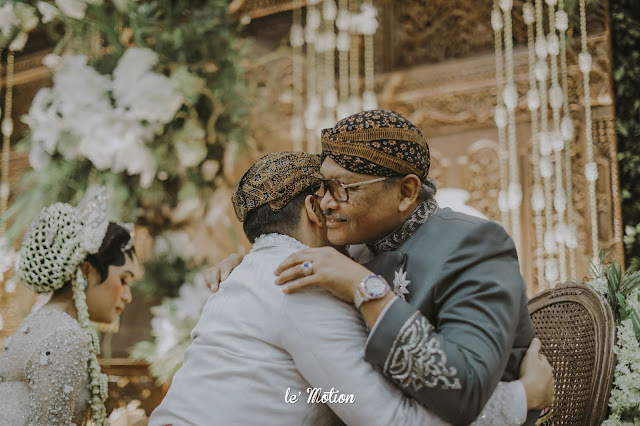 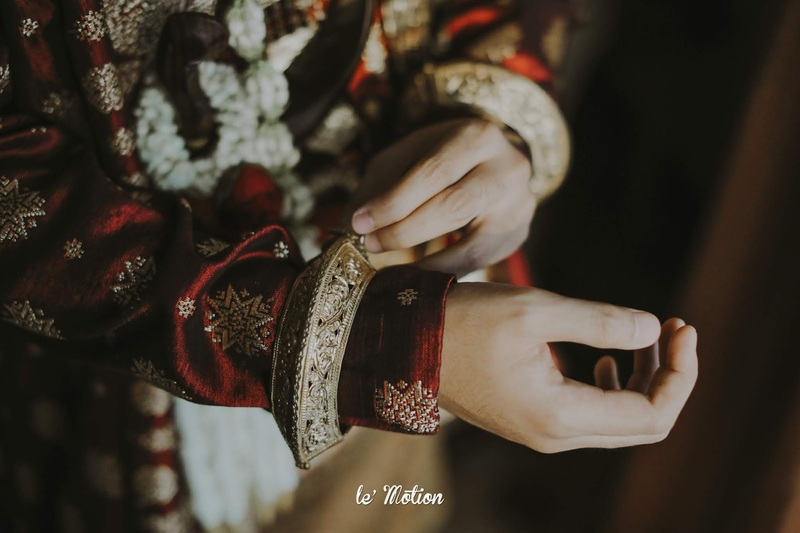 This dance is performed in front of the groom which as a symbol that the wife will not take any actions without the permission of the beloved husband, and everything must stays inside the circle. The wedding decoration was also very traditional! 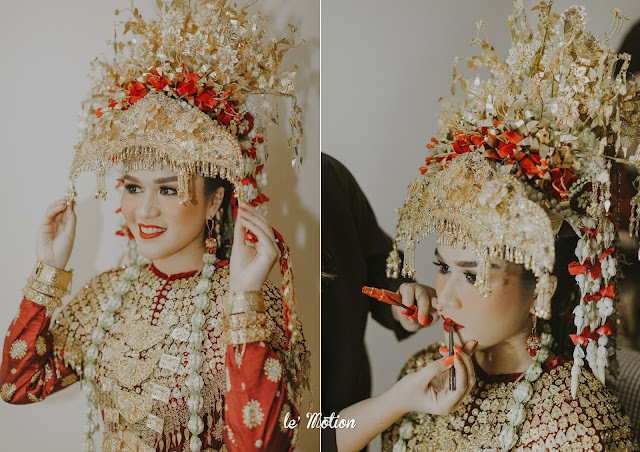 brown gebyok jawa with beautiful white and green flowers for Akad and purple, red and yellow flowers on her traditional Palembang reception! 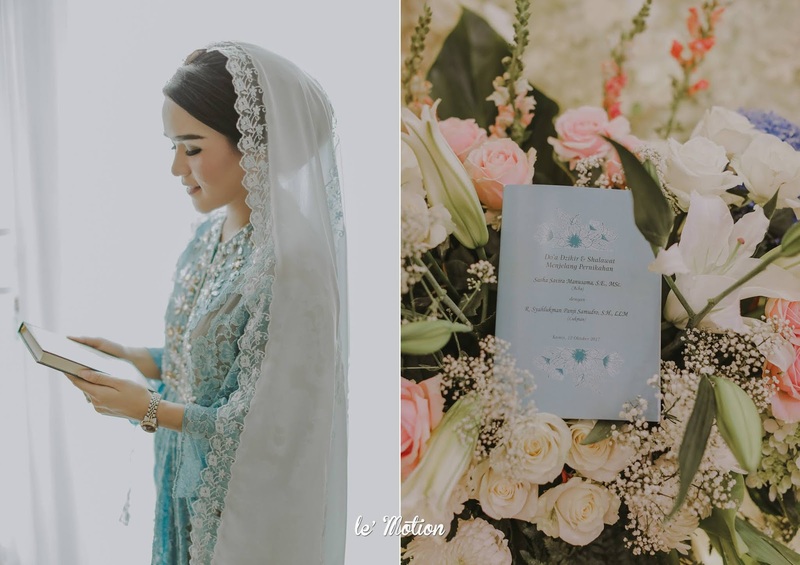 In the end, Congratulations to the both of you! 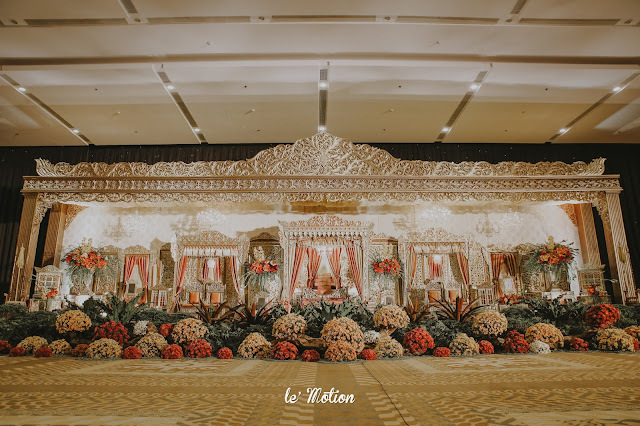 Thank you for letting us be a part of your festive wedding day. 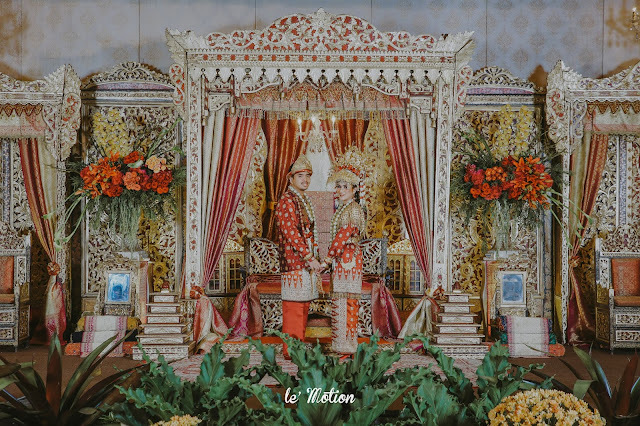 We wish you all the best as you embark on this beautiful union together!